I can't even begin to say how much I love this brand and the products I'm going to review today. Safe to say, it's a lot. I've been smothering my skin in Vedani oils since before Christmas now and I'm still just as smitten as day one, even more so because my skin has improved so, so much. 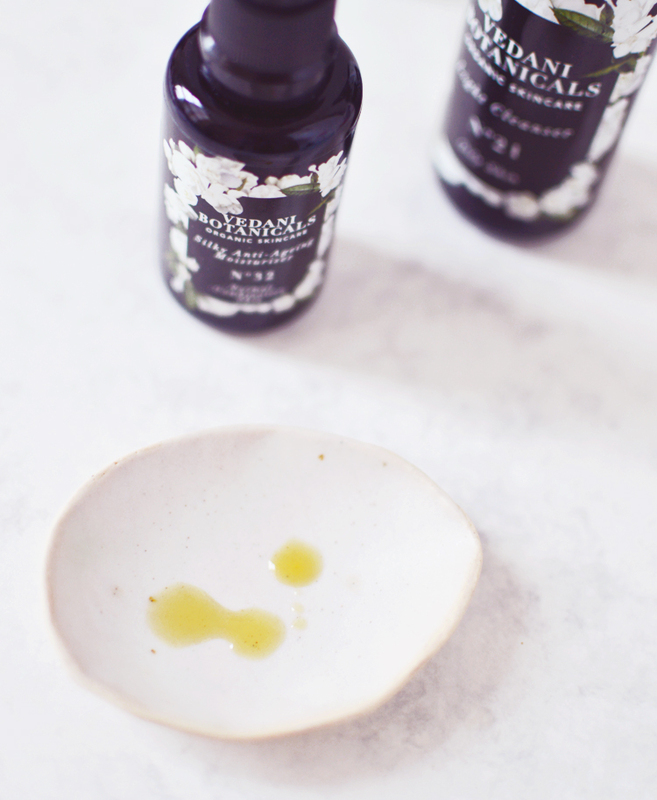 These are special, exquisitely crafted oils that I need you to know about. Settle in because I have a review, interview and giveaway for you, so it's a long 'un! 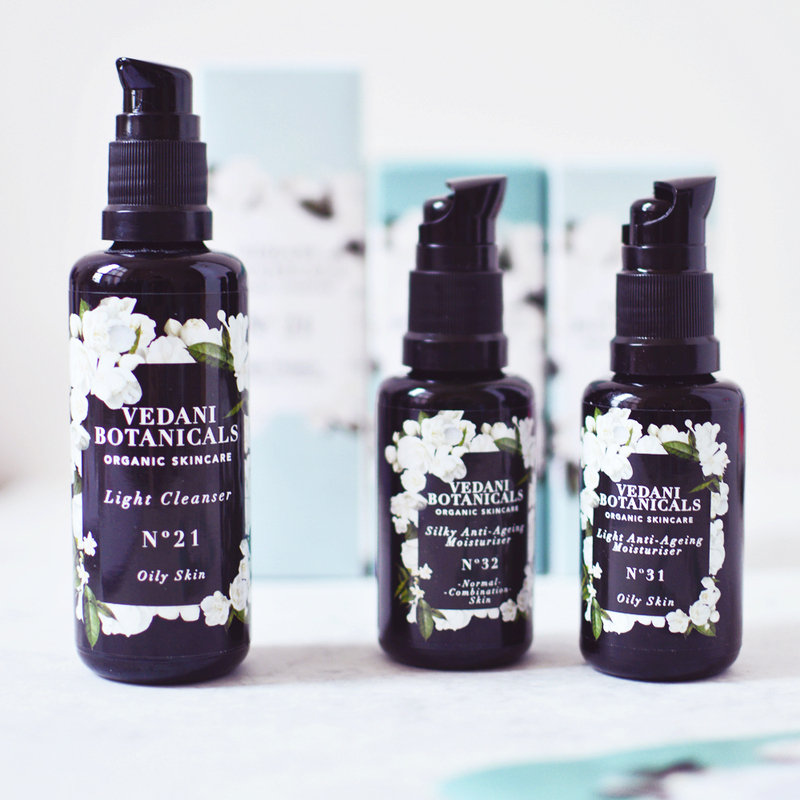 Focusing on a more simplistic approach to skincare, the Vedani Botanicals range is small, with only three cleansers and three moisturisers currently available. As you would imagine these are split into sub-categories for oily skin, normal to combination skin and dry skin. I've been using the cleanser for oily skin and both the moisturisers for oily and combination skins. 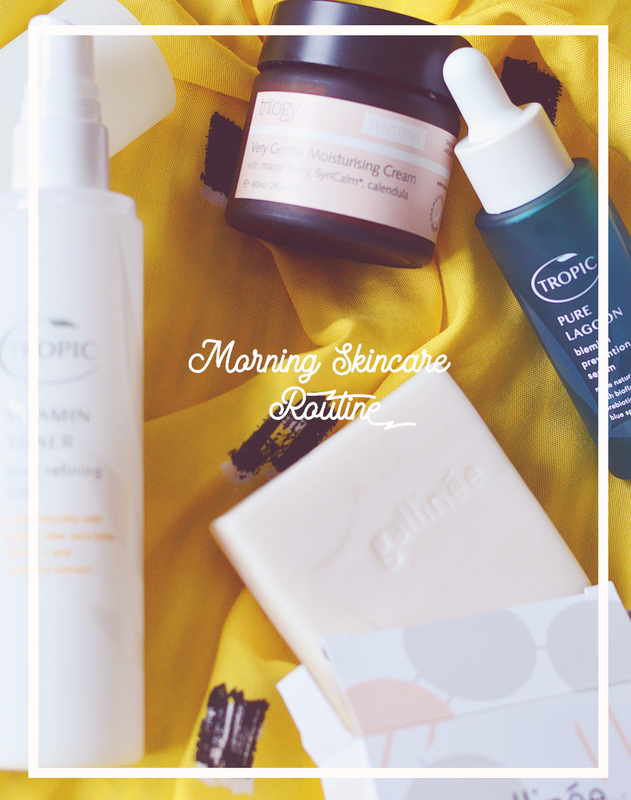 With so many brands to choose from when it comes to skincare, it can be overwhelming to say the least, especially when there are shiny new launches almost every day asking for your money. It only takes a few Instagram images in your feed to be convinced by the hype... I know from experience. I started trialling Vedani Skincare without any opinions on the brand at all, it was unknown to me before Sadie, the creator reached out. I very rarely try something without reading another bloggers' review first so this was a new experience for me, but talking with Sadie via email told me all I needed to know. This woman knows her stuff, she has true passion for skin and skincare, and this shines through in her products. 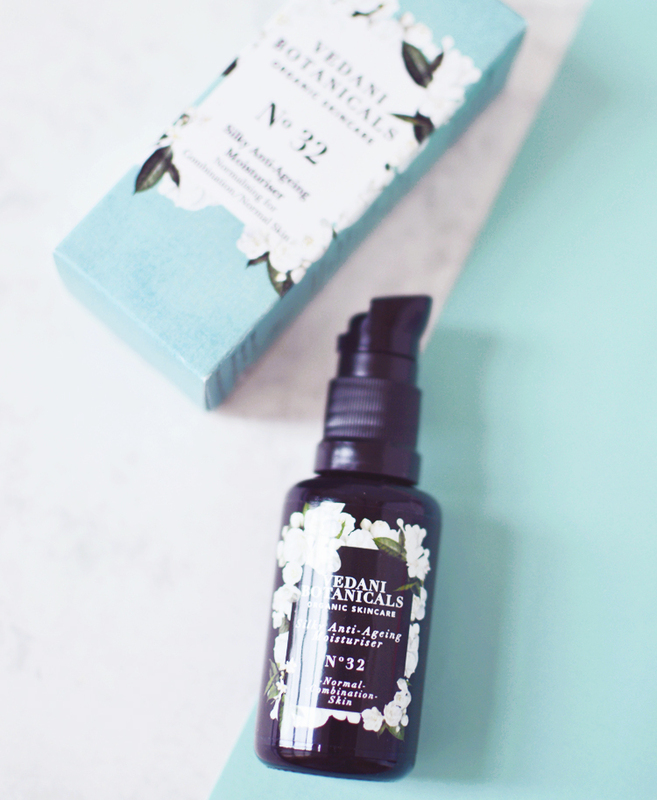 The No21 Light Cleanser is a silky feeling cleansing oil that focuses on balancing skin, not purifying or drying it out. The description reads: "A luxurious oil blend for skin that prefers a cleanser with a very light texture. Combats excess oil, blocked pores, spots and shine. Leaves skin feeling balanced, healthy, hydrated and comfortable." It certainly lives up to this. With all organic hemp, hazelnut, sesame and tamanu oils, this oil is absolute perfection for skin that is stressed and crying out for a little equilibrium. The formula is thin in consistency and has the perfect slip for massaging around the face. It removes makeup easily but is also quite fantastic as a second cleanse to deeply clean and balance the skin without stripping it. It removes easily with a warm muslin and I don't feel the need to follow up with a gel cleanser as my skin just feels... normal. happy. 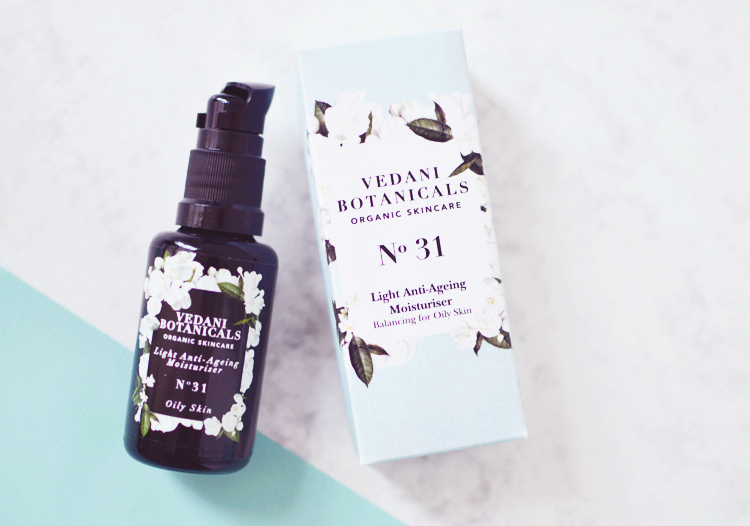 The No31 Light Moisturiser is the perfect partner to the cleanser. I fell in love with this from the first use, my skin transformed from a combination mess that was oily in odd places and so flaky and dry in others to a complexion that is balanced and dare I say almost normal. Who'da thought it?? The Light Moisturiser is exactly as the name would suggest, light. It's one of the only oils I've ever used that actually sinks into my skin without a trace. This doesn't mean it isn't hydrating though, it contains the same oils as the cleanser, as well as chia seed, sacha inchi, baobab, buriti and more, all organic, cold pressed and of the highest quality of course. Just before I started using the No31 Moisturiser my skin had a freak out and became extremely dry, I wasn't sure that the light moisturiser would be enough so Sadie kindly sent me the No32 Silky Moisturiser too, assuring me that it is still formulated for those with spots and blocked pores and would not cause me any issues. Typical though that in the day or so that it took to get to me, the No31 Moisturiser worked a treat at balancing my skin so that the dry patches disappeared. I couldn't help myself and had to give No32 a try though and I think it was a match made in heaven. Whilst very similar in formula to the lighter oil, No32 contains much higher percentages of baobab and sacha inchi oils. The result is an oil that is still light and silky feeling on the skin, but it has a little more.... oomph in the nourishment department. Within a few days of use (of both oils) my skin was brighter, more even toned and so much calmer looking. For any that don't know I suffer from hormonal cystic acne and for the first time in almost two years I finally feel like I'm getting control of my skin. I use the No31 light oil mostly in the evenings to let my skin breathe and repair, and use No32 in the mornings so that my makeup applies flawlessly and skin stays nourished. What's more, since introducing Vedani into my routine my skin has felt so normal and calm in the mornings that I don't feel the need to cleanse at all, instead I spritz my skin and a cotton pad with toner and wipe over skin. That's it. This prevents further stress and stops my skin from over-producing oil during the day. It's not for everyone and sometimes I do cleanse in the morning, but for me, this is something that is really helping. 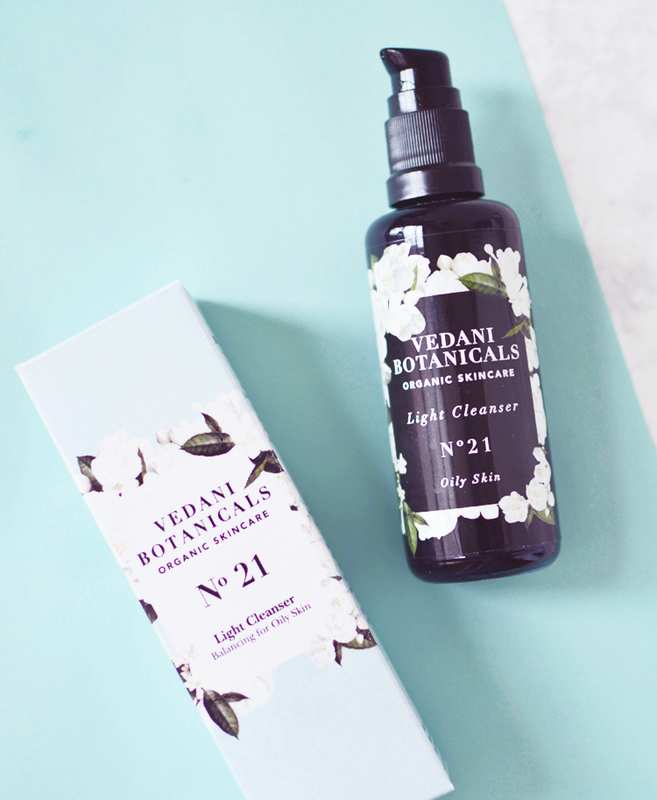 Vedani Botanicals has the look, feel and the ingredients list of a much higher priced luxury natural brand, I wouldn't bat an eye if these oils were double the price, they're so good. Currently though, you can pick up a cleanser for £22 and a moisturiser for £33. Or a mini travel set for £15. Crazy. I doubt it will be long before this brand is picked up and stocked at all of our favourite beauty locations around the world. For anyone just being introduced to Vedani Botanicals today, what can they expect to find? Truly natural, organic, nutrient rich plant oil blends. We believe our plant oil knowledge for skin type suitability is key to why the products are so effective for problematic skin. This type of formulation allows us to stay away from many unwanted ingredients, but still enjoy maximum benefits. Our cleansers and moisturisers are luxuriously textured, beautifully scented natural plant oil blends, which only contain cold pressed, unrefined plant oils, essential oils and natural non GMO vitamin E.
The reason behind the quest for this plant oil/skin suitability knowledge is driven from the passion to create truly natural, gentle, effective skincare. I went on this journey, just to create skincare for myself to begin with then also for my family, friends, and then for clients. It’s only the last few years that it started to turn into a brand, with the expert help of Margaret Karlinski. You've been working with skin for over 17 years, but only brought Vedani to life last year, why now? It takes years to study, theoretically and practically, to learn and understand plant oil chemistry, what works for each skin type and their possible related issues and conditions. I am passionate about formulating and making skincare to help those with skin issues. It is very satisfying to share knowledge and prove that skincare can be 100% truly natural. 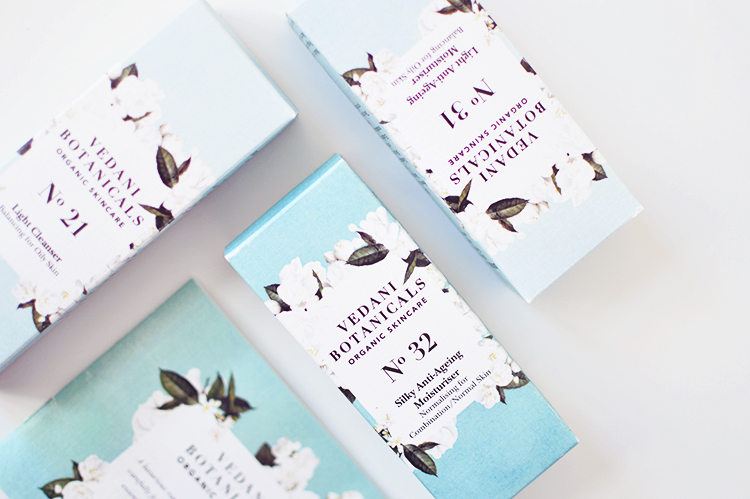 What was the biggest challenge for you when launching Vedani Botanicals? Essential oil safety was a big concern. With a client, a consultation is carried to find out what they need from their blends and if they have any conditions that would contraindicate them from certain essential oils. We wanted to choose oils without common contraindications. Was it important to you that the range be vegan and organic? I believe plants in their purest useable form hold the answer for effective, gentle skincare, therefore it has to be truly natural. Truly natural to me means nothing artificial, the ultimate is to be grown, handled, stored, processed and manufactured without artificial ingredients. Organic soil is believed to be richer in minerals and plants grown without artificial help are actually healthier for another reason too – it is thought because they have to fight harder to survive, they have higher concentrations of beneficial properties. As for being vegan, yes it is very important to us because when it comes to skincare, plant oils and plant extracts are the bee’s knees, and I also believe people should be the guinea pigs for our skincare product testing, not animals. What are your top 3 tips for taking care of your skin? First tip – think holistically. Whatever affects your body and mind can affect your skin. Be mindful of how stress, anxiety and insomnia can affect your skin. Try mindfulness/meditation, relaxation techniques, yoga, walking, activities that gives headspace and encourages positive thoughts. Be mindful of what goes into your body – this includes what you consume, inhale and absorb through your skin. Second tip - Be gentle. Don’t be harsh, rub or tug the skin when cleansing, exfoliating or moisturising. Avoid using scrubs as they are too scratchy. Try to stay away from products that will upset the skins PH. Think about what cloths or sponges you use for cleansing the face. Our bamboo cloths are ideal as they help provide effective and thorough cleansing and are soft, gentle and naturally anti-bacterial. We have more details on our website about which ingredients are in our products and why we love them. Certain oils have specific benefits for different skin types, so it is important to choose the right one’s for your skin. What's next for Vedani Botanicals? Any upcoming products? Yes there are many future plans for Vedani Botanicals that we are very excited about. We have just launched our trial size skincare sets, so customers can try our products before purchasing the full size. We are applying for organic certification. All the organic oils we use are already certified by the Soil Association or by a certifier which is approved by the Soil Association, i.e. Eco Cert, so the next step is to gain full organic certification. We will soon launch our essential oil free products, suitable for all but particularly beneficial for skin sensitive to essential oils, pregnant or breastfeeding ladies, or for those on chemotherapy or radiotherapy. Also a gentle facial exfoliator and mask, body oils, bath and shower oils, and the men’s range are all formulated waiting to launch. Margaret Karlinski, who I work closely alongside, tutors on many subjects, aromatherapy and nutrition to name a few. Margarets’ knowledge on plant oils and aromatherapy is immense. Margaret, the Vedanists and I are passionate holistic health. You cannot expect your skin to be the best it can be without whole body good health. Margaret and I are hosting holistic health events, starting with ‘Holistic Health for Problematic Skin’ on August 6th. To be in with a chance to win a Travel Set suited to your skin type, simply leave a comment below with which new product you are most excited to launch (they're listed in the interview). For extra entries you can also enter again on the Vedani Botanicals image on my Instagram page! Follow the simple instructions on that post for all the info. A winner will be chosen via a random generator by adding up both blog and instagram comments and then announced & contacted on the 10th of April. Good luck! Open to UK & EU residents only.